Grab an inner tube and get ready for an exciting new style of water polo. Reporter Brad Peers found out how this game is evolving. Members of UM Campus Corp volunteered at the Families First annual Halloween Bash fundraiser. Kids dressed as pumpkins, blushing brides, and super heros while volunteers contributed to the costumes with unique face painting. Reporter Chenelle Smith and photographer Khushnuda Shukurova found out why it doesn't have to be October 31 to celebrate this holiday. This week, UM Silver Team reporters uncovered how students are staying fit through biking and other activities, as well as how they are helping people on and off campus. Shaun Rainey and Emily Adamson anchored the show. Drew Stanley directed and Gillette Vaira produced the newscast. 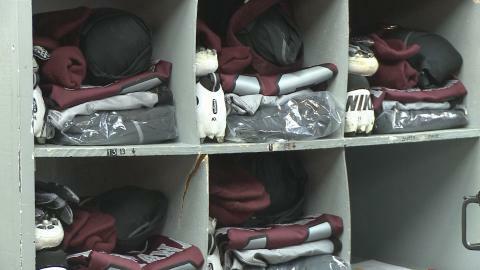 You may have noticed the Griz on Saturdays wearing new uniforms, cleats, and shiny helmets. But it takes a weeks worth of preparation to get all that equipment ready for game days. Reporter Shaun Rainey went behind the scenes to find out what the equipment center is all about. 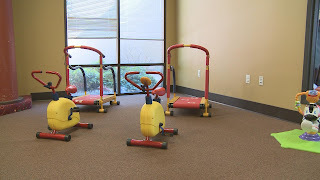 Some Missoula students are learning a new way to work out and have fun. Reporter Katie Mansfield and photographer Alison Kilts found out how a Spanish dance is moving Missoula. UM's Cruiser Co-Op bike rental program has shiny new reasons to encourage people to get out of their cars and onto their bikes. 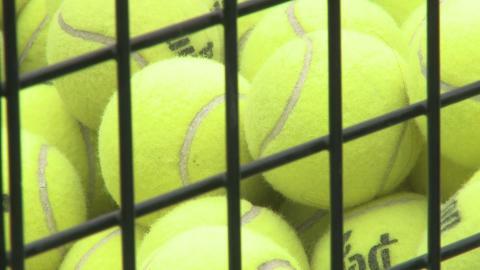 Reporter Emily Adamson and Photographer Sheya Rivard found out how the program is expanding. Under the new health care bill, the use of tanning beds comes with a ten percent tax. This tax aims to discourage the use of the beds, which doctors say increase the chances of skin cancer. Tanners and business owners who use these beds, however, feel like they are being unfairly targeted. 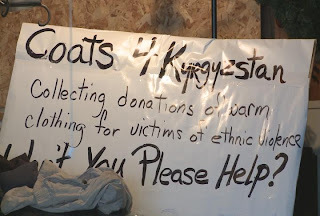 Reporter Garrett Browne and photographer Ava Shearer visited one salon where both the business and the customers have been affected. Welcome to the October 26th edition of UM News! Anchors Garrett Browne and Brittany Wooley show you a unique technology helping print impaired students keep up with their reading. Reporter Amy Quinlivan and photographer Katrina Shull file a story on the growing group 1000 New Gardens. Check out these stories and more on this weeks UM News produced by Jake Stevenson and directed by Cody Johnson. Roughly eight percent of UM students self-identify as having a disability. Disability Services for Students estimates around 10 to 15 percent of that group has a print disability. Erin Schermele and Kaelyn Kelly found out how technology allows these students to take control of their education. 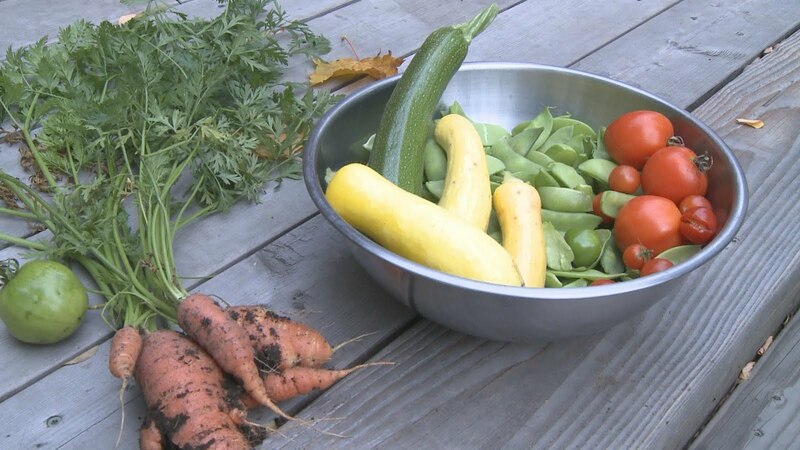 1000 New Gardens is a volunteer based group helping show people how to grow healthy food in their own backyards. 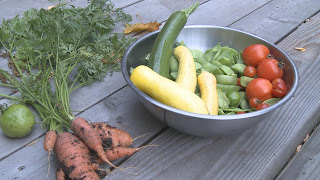 The group offers guidance in preparing, planting, and growing gardens. Reporter Amy Quinlivan and Photographer Katrina Shull went to one home to see how a local gardener has benefited from this group. Not only do they pay tuition, students at the University of Montana raise money for campus by working the phones lines on behalf of the UM Foundation. Reporter Tyler Velin and photographer Dan LaDue got the scoop on these outspoken fund raisers. 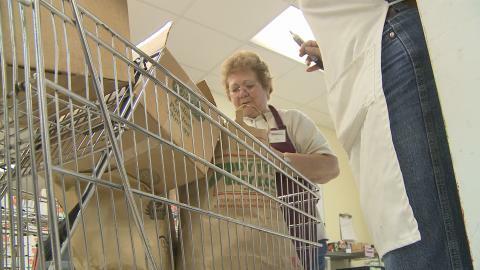 A record breaking number of people are using food banks across Montana. Reporter Brittany Wooley found a group of students doing its part to fight hunger in a unique way. Welcome to Silver's October 20 edition of UM News. 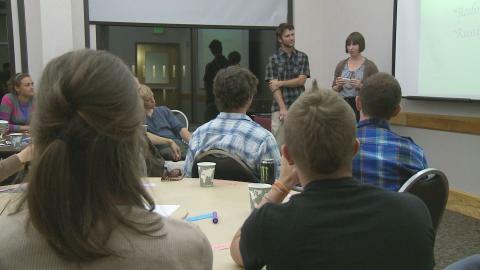 Anchors Katie Mansfield and Shaun Rainey take viewers into the plans and pitch of a new sustainability effort on the UM campus, to the far reaches of the world at a technology seminar, to a class that teaches "old folks new tricks," and to the heart pounding, music pumping class of Zumba! This show was brought together by Producer Vince Bagby and Director Matt Seder. Three international athletes play on the eight-person UM Women's Tennis Team, including South African political science junior Lauren Gibson. Reporter, Gillette Vaira, discovered how the team's makeup might be different in the future. The Osher Lifelong Learning Institute known as MOLLI offers programs to anyone, 50 or older. Reporter Katie Mansfield and Photographer Khushnuda Shukurova found out ways to promote personal growth and life long learning. 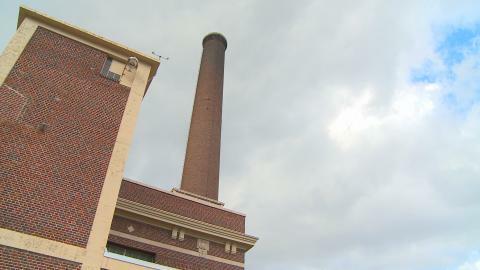 If approved by the Board of Regents, University of Montana administrators say a new wood burning boiler would reduce UM's carbon footprint by 25 percent. 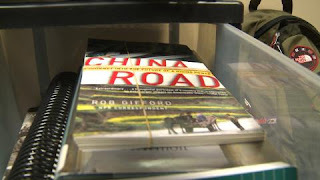 Reporter Shaun Rainey and photographer Alison Kilts looked into this potential 16 million dollar project. A Latin inspired dance workout has made its way to the University of Montana. 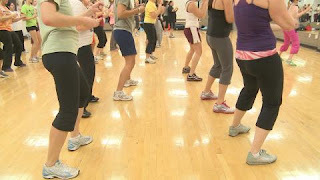 Reporter Emily Adamson found out what makes Zumba so much fun! Montanans frequently enjoy water activities during the heat of the summer. However, it takes a different level of dedication to take to the water in the cold October weather. 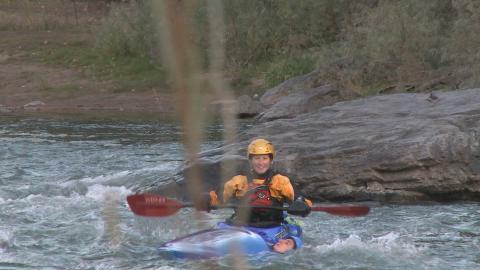 Reporter Brittany Wooley and photographer Dan LaDue found a group of Montanans who are learning how to whitewater kayak in below freezing temperatures. 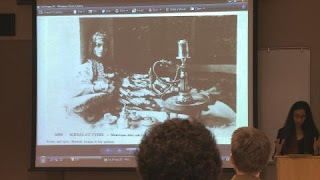 Technology on campus is beginning to make its way into many different aspects of the classroom. 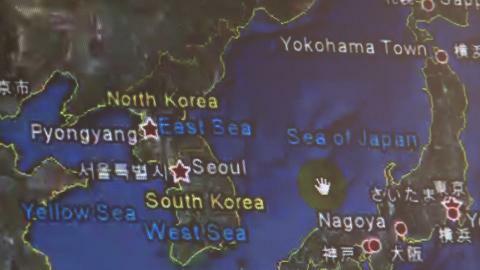 Reporter Brad Peers and photographer Drew Stanley watched a demonstration from a professor who teaches his Japanese classes using iTunes and Google Earth. This is UM News October 18th edition. Anchors Kaelyn Kelly and Garrett Browne tell us about LGBT Awareness, clothing drive, outdoor sports, and trampolines. Keith Hensley directed and Kristina Matsalak produced the show. The UM FLAT House teaches students sustainable living through hands on experience. The Environmental Studies Program started the FLAT or forum for living with appropriate technology as a model for the community. Reporter Jake Stevenson and photographer Ava Shearer stopped by to check out a project where the volunteers were not afraid to get dirty. Over the past month five gay teens committed suicide after being bullied for their sexual orientation. 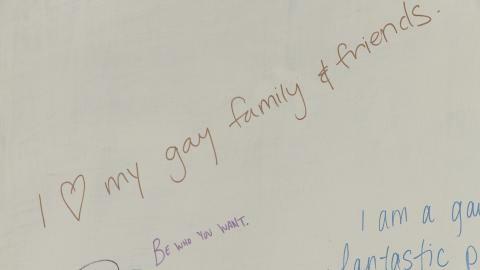 In light of these events reporter Kaelyn Kelly and photographer Cody Johnson found out what resources are available on campus to promote awareness about and acceptance of the Lesbian, Gay, Bisexual and Transgender community. Hair burst onto the broadway scene in the 1960's. The counter-culture play critiqued the Vietnam War and social norms. Reporter Shaun Rainey found out how the over forty year old play will resonate in Missoula. 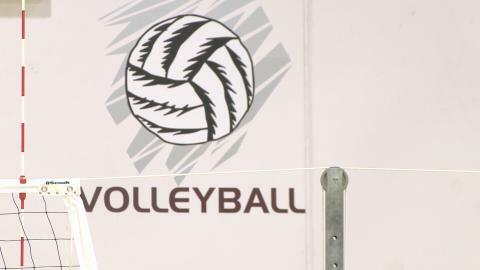 A men's volleyball team is the newest addition to UM's club sports organization. Players will compete in their first tournament at the end of October in Canada. Reporter Emily Adamson caught up with the team during practice. The University of Montana is the first in the country to offer a minor in South and Southeast Asian Studies. Students and organizers believe in this economic state, it is important to be knowledgeable on the history and culture of this up and coming superpower. Reporter Katie Mansfield and photographer Alison Kilts found out the motivations behind this new minor. 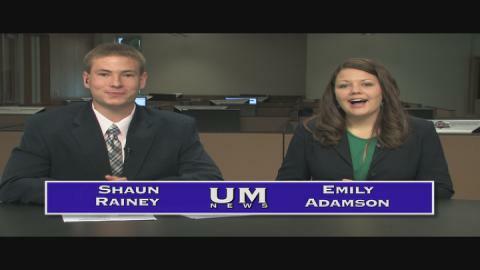 Welcome to UM News for 10-13-10! Come along with the Silver team as we explore UM sports, fossils, theater and more! This program was anchored by Gillette Vaira and Katie Mansfield, produced by Chenelle Smith, and directed by Sheya Rivard. Coaches for the Montana Griz are worried about the various outcomes that a conference change might bring to Grizzly Athletics. Reporter Vince Bagby and photographer Drew Stanley went to find out what these outcomes might be. Faculty, staff, and students at the UM Paleontology Center are spreading the word about fossils in order to explain state, national, and international history. 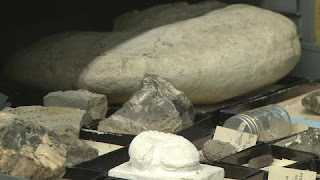 This week, they hosted an event to celebrate the first National Fossil Day. But on a regular day, researchers study hidden fossils in their basement. Photographer, Matt Seder, and reporter, Gillette Vaira, found out what one graduate student is digging up. Here is UM News for October 11th 2010. 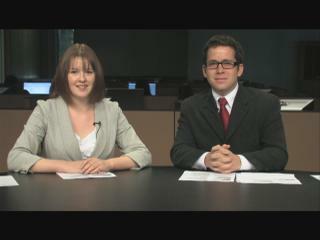 Anchors Kaelyn Kelly and Jake Stevenson bring us an exciting spin on whats happening around campus this week. This edition was produced by Amy Quinlivan and directed by Katrina Shull. Enjoy! 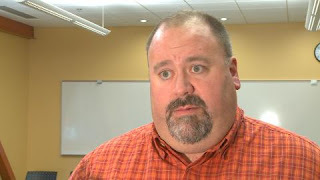 Director of Counseling at UM says mental health is the number one problem on campus. The Curry Health Center organized the Blue Couch event to help students talk out their problems. 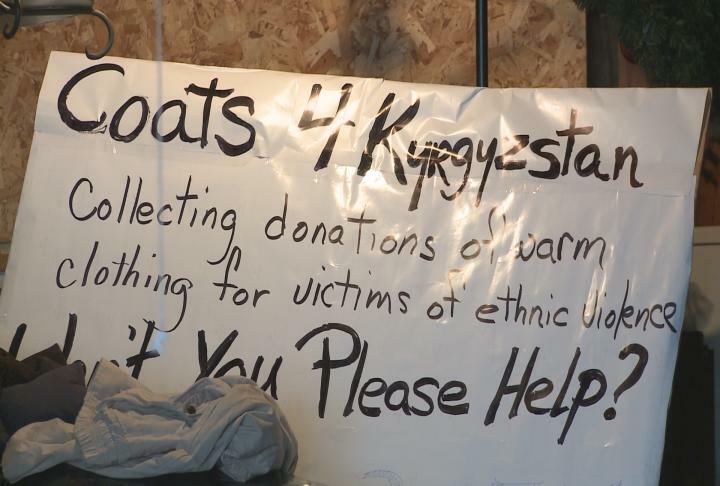 Reporter Kristina Matsalak and photographer Cody Johnson found out what help is available. 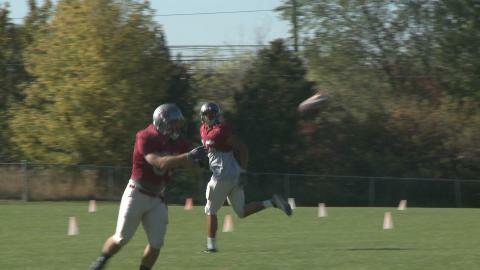 Students from the University of Montana won't let the lack of snow stop them from preparing for the fast approaching winter sports season. Reporter Jake Stevenson and photographer Dan LaDue caught up with the Zoo Crew at the Grizzly Pool. 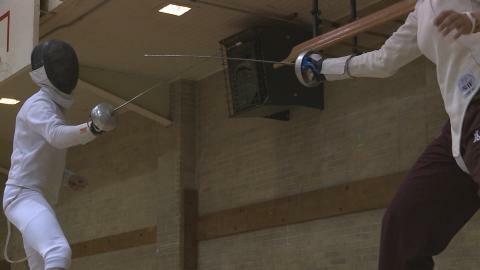 Watch the high-flying pre-season training of a group vying to compete at the college level. 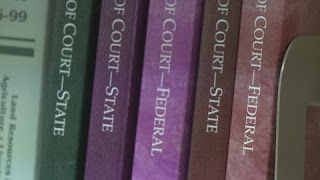 In 2006, the Attorney General classified methamphetamine as the most dangerous drug in America. Now, reporter Brittany Wooley found a UM researcher who is using the drug in very small doses to treat serious health conditions. 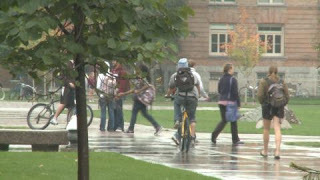 The University of Montana hosts approximately 150 different student groups on campus. Erin Schermele and Kaelyn Kelly found out how the fencing club provides students with some friendly competition in a tight-knit atmosphere. Football is the most popular sport in America. Football, or what we call soccer, is the most popular sport in the rest of the world. 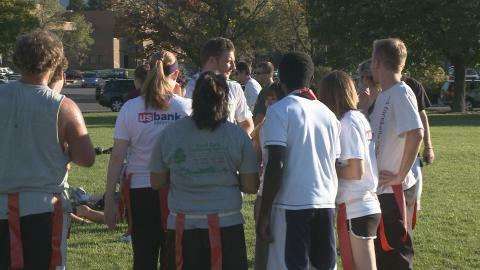 Reporter Shaun Rainey found a group of international students trying their hand at football...the American kind. The October 7th edition of UM News is anchored by Vince Bagby and Gillette Vaira. Khushnuda Shukurova directed the newscast and Brad Peers produced it. The University of Montana's enrollment is at an all time high. And while thats good for the University as a whole, Reporter Katie Mansfield found out how the increase is a bit of an inconvenience. From the bright lights of Las Vegas to the Garden City of Missoula, Reporter Vince Bagby and Photographer Sheya Rivard uncovered how the newest UM dance team coach is using his professional experience to better the spirit squad. 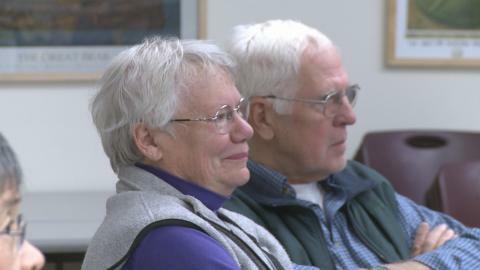 Missoula Mayor John Engen teaches a political science seminar at UM that brings in public officials from across the state and country. The Mansfield Center makes this class possible in order to provide students with leadership skills. Reporter Gillette Vaira and photographer Matt Seder found out what students learn from the city's boss. Reporter Chenelle Smith and photographer Drew Stanley delved into the underworld with Asphodel, a visiting art exhibit in the Gallery of Visual Arts. The exhibit was created by Doug Anderson. A new report says 75% of Americans will be obese in 10 years if the current trend continues. Reporter Jake Stevenson found out how one UM student is helping to curb that trend. 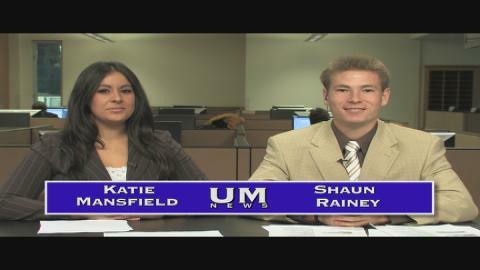 The October 5th edition of UM News is anchored by Kristina Matsalak and Jake Stevenson. Tyler Velin produced the newscast and Ava Shearer directed. The CBS Show Hawaii Five-0 made calls to eighteen college marching bands around the country. 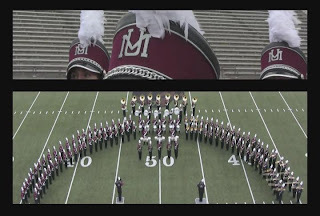 One school to answer that call was the University of Montana marching band,Photographer Cody Johnson and Reporter Garrett Browne found the band looking to win twenty-five thousand dollars and a chance to be on national television. You Can Vote for the band Here! Some UM students found fun and a unique way to stay fit and have fun. Hellgate Roller girls league helps couple UM students to learn skating techniques like how to properly block an opponent and recover from a fall. Reporter Kristina Matsalak and photographer Keith Hensley attended one of the practices at the warehouse. 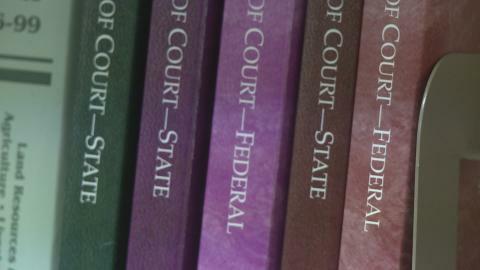 Students having a problem with a landlord, or a criminal misdemeanor charge, can turn to ASUM legal services for advice or representation. Reporter Amy Quinlivan and photographer Katrina Shull found that it's not just students who benefit from the service. The Montana High School Association is considering adding another girl's sport. The UM women's rugby team says they believe this contact sport engages and empowers women. Erin Schermele and Kaelyn Kelly found one player trying to bring those benefits to high school athletes.